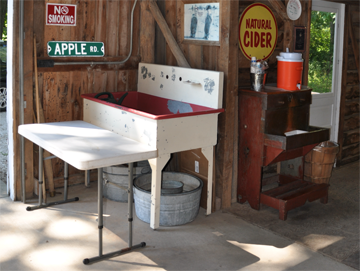 We sell everything out of our Apple Barn. Be sure to check out the newest picked apples, sample our award winning apple cider and grab a caramel apple to eat on your way home. 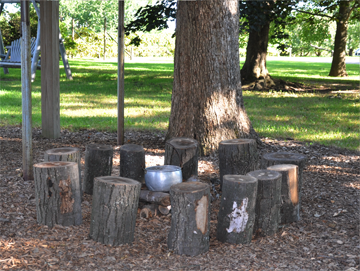 Our two story treehouse is a favorite with kids! Whether it's cooking on the play stove, playing house or climbing the ladder to the second floor. They can let their imaginations run wild. Stretch your legs and take a stroll around the orchard. See the different types of apple trees and how they grow. We have full size trees, dwarf trees and trees on wires. Feel like going for a longer walk....take a walk on our woods trails. It's especially beautiful when the leaves are changing color. 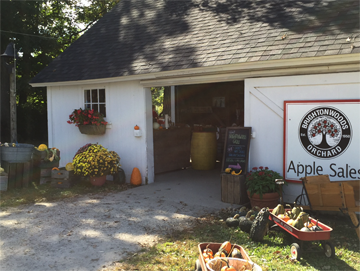 Try some perry or hard cider at AeppelTreow Winery & Distillery. Check out what all the buzz is about.